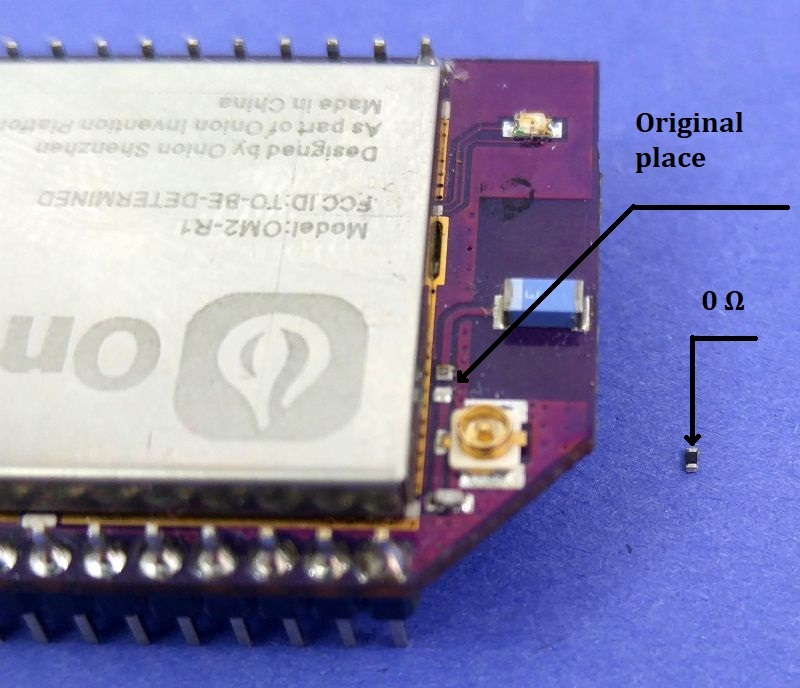 In this week’s tip, we’ll learn how to properly use the u.FL socket to connect external antennas to your Omega. If you are not familiar with this connector you might be asking “what is this strange connector next to the WiFi antenna and what’s it for?”. Well, by the end of this tutorial, you will be familiar with this surface-mount connector and will be able use it to extend your Omega’s WiFi range. The U.FL connector is a RF coaxial connector that used to connect external antennas for enhanced signal strength. You can connect any RP-SMA antenna with a U.FL pigtail directly to the Omega2. When the antenna is plugged in, both the surface-mounted (SMT) antenna and external antenna share the transmission power coming from the Omega, providing only half of the expected gain. This tip will show you how to physically modify your Omega so that only the external antenna is used and you see the expected performance increases! DISCLAIMER: Please perform the following permanent modification to your device very carefully and at your own risk. 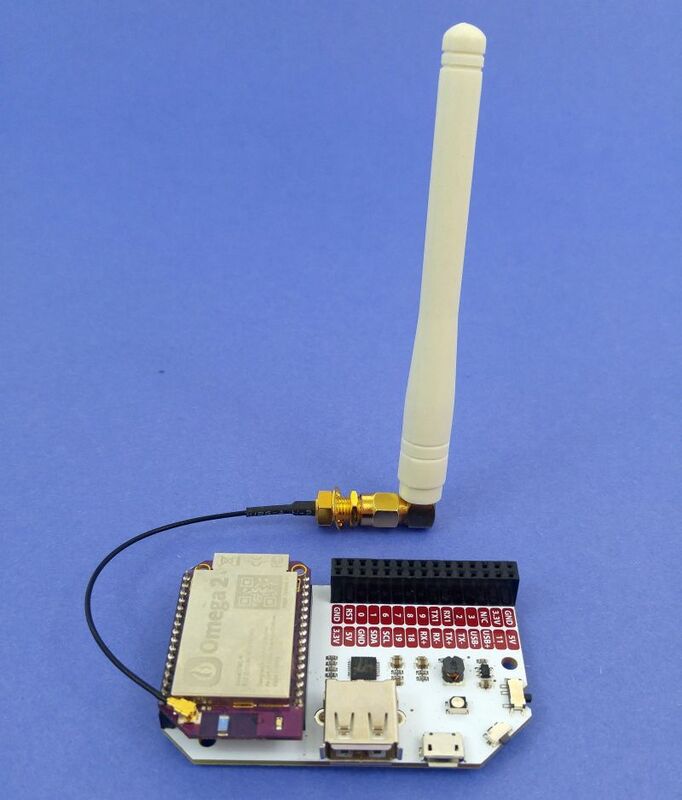 This procedure is difficult to undo, and will require the permanent use of an external antenna to have any sort of reasonable WiFi connectivity. If you damage your Omega during this procedure, Onion Corporation is not responsible. 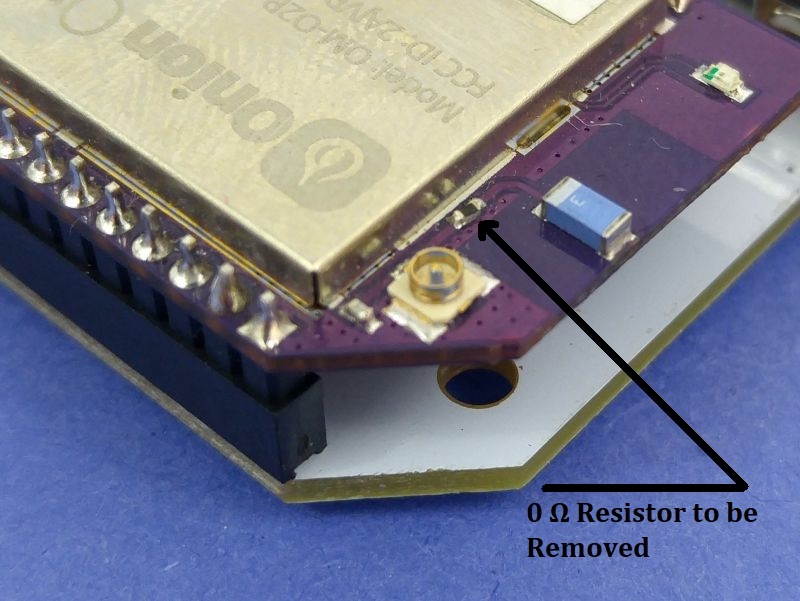 In order to use your external antenna at its maximum performance, the 0 Ω resistor near the the WiFi SMT antenna must be removed. 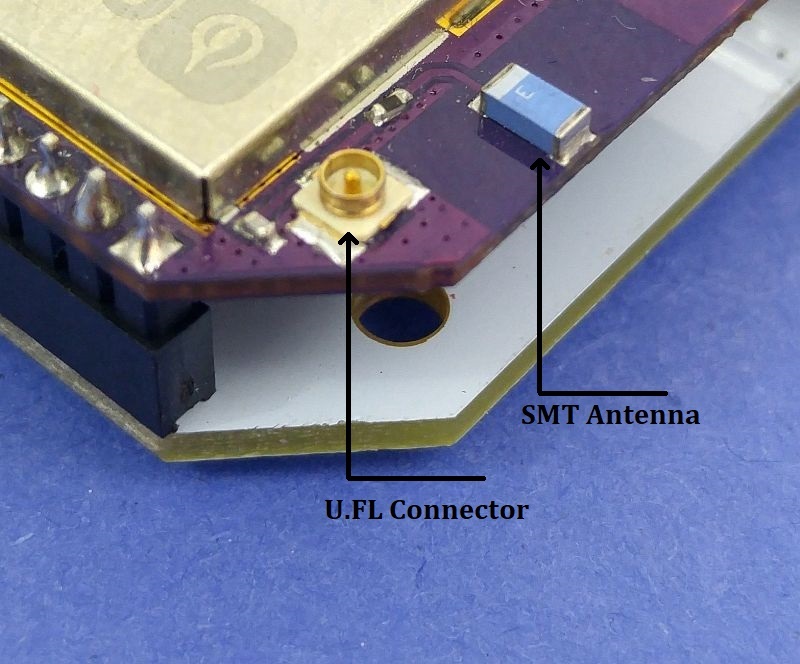 This will disconnect the SMT antenna from the Omega, allowing it to pump all of its transmission power to the antenna connected via u.FL. You’ll notice the 0Ω resistor is on the trace that connects the Omega’s internals to the SMT antenna. We’ll remove this resistor to break the circuit and completely disconnect the SMT antenna. The SMT antenna is no longer used by the Omega. Now you are almost there! Plug the U.FL antenna to the U.FL connector and power up your Omega2. Wait till it boots and let’s check out the performance! Connect to your Omega from your smartphone/computer and let’s use an app to check the signal strength. For our lab tests we have used an Android app called WiFi Signal Strength Meter made by Phuongpn. It’s a free Android app that shows the most recent wifi signal performance (Signal strength (-dbm), Signal Speed (Mbps), Frequency (MHz) and etc.). The results are pretty stunning, aren’t they? The difference between the two is relatively noticeable. Just to remind you, as the value in -dBm gets closer to 0 it becomes more stronger. Since the -dBm scale is logarithmic based, the difference between the two antenna configurations is actually quite large. A difference of -10dBm means that the u.FL antenna has a signal that is 100 times stronger than the SMT antenna at 10 meters away.